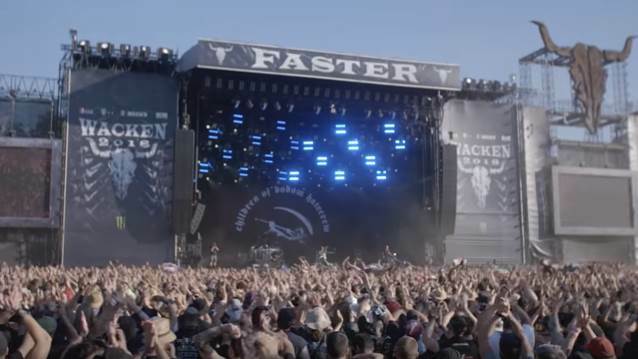 According to Deutsche Welle, two elderly elderly German men escaped from their nursing home on Friday (August 3) to attend the Wacken Open Air festival. The retirement home in Dithmarschen, northern Germany contacted the police after it discovered that the men were missing from the facility. The men were later found at 3 a.m. at the heavy metal festival, which is celebrating its 29th anniversary this year in Wacken, Germany. Merle Neufeld, a police spokesperson, told Deutsche Welle they were "disoriented and dazed." The elderly pair were reluctant to abort their plans and police escorted the men home with the help of a taxi and a patrol car "as a precaution." Peter Berndt, another spokesperson for the police department, said the two men likely made it to the festival by foot and public transportation. "They were then taken to the medical tent on the festival site and were sent back by taxi at around 6:30 a.m.," Berndt told the Washington Post. "We had to explain to them why they had to go home — but in the end, they went back voluntarily." This year's Wacken Open Air is sold out, with more than 75,000 metal fans in attendance. Headliners include JUDAS PRIEST, DANZIG, HATEBREED, IN FLAMES, RUNNING WILD and ARCH ENEMY. Although Wacken has the reputation of being the muddiest festival in the world, this year's event has reportedly seen no rain so far. Last year, it was reported that the fans who attend Wacken Open Air each year consume an average of about 5.1 liters of beer over the festival, according to the statistics portal Statista. This compares to 3.1 liters per person for the less heavy metal-centric Rock Am Ring festival. For the 2018 installment of Wacken Open Air, organizers have joined forces with the Electronic Sports League (ESL) to create an esports arena. The 1,800 square-meter esports village invites festivalgoers to compete in the daily amateur tournaments of popular games, including League Of Legends and Playerunknown's Battlegrounds.